Winter is transformative. A blanket of snow can make a place you think you know look completely new and different. While summer thinks it&apos;s got things covered as the season for national parks and outdoor adventure, winter is right there making a very good case for why it should be the reason you embark on adventure to Riding Mountain National Park while there is still snow on the ground. With that in mind, here are eight amazing things you can experience in Riding Mountain this (or during any) winter. 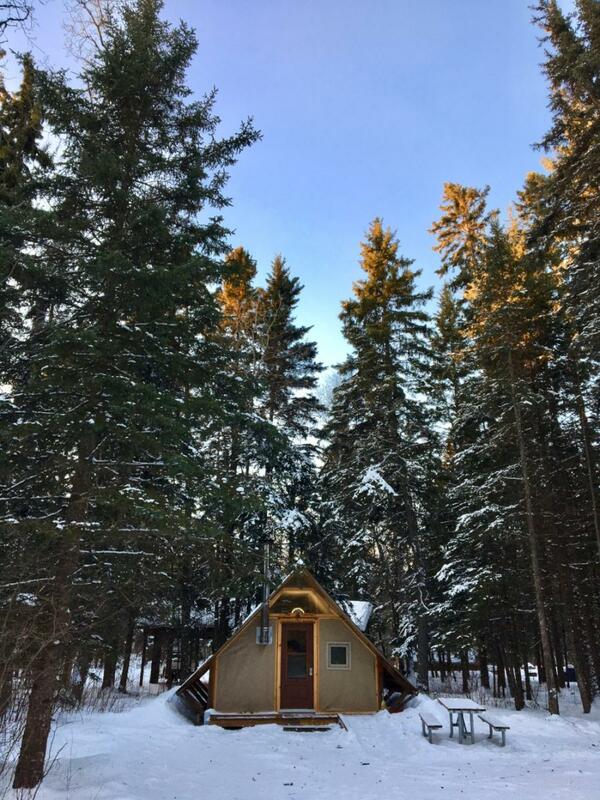 When we say winter camping, we&apos;re not talking a tent pitched in a pile of snow--don&apos;t worry. (Though if that&apos;s your kind of thing, go for it.) What we&apos;re really talking about falls more into the realm of glamping when it comes in the form of an oTENTik. These Parks Canada canvas structures provide comfort and coziness in the park complete with electric heat, wood burning stoves, nearby heated bathrooms and showers, USB chargers, a fire-warmed cook shack and all the firewood you can carry. 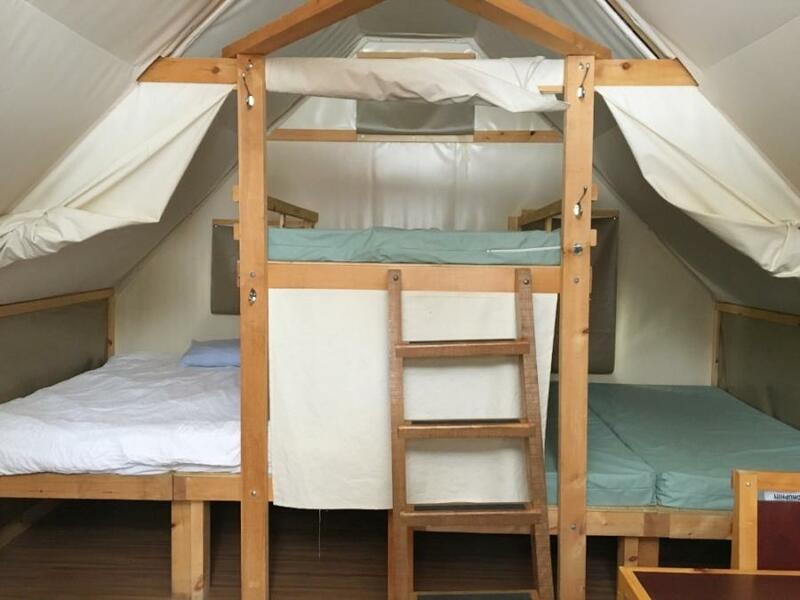 These spacious &apos;tents&apos; come equipped to sleep six in three large bunks--though if you&apos;ve got small children, a couple more could very comfortably be accommodated making for the ultimate family adventure. For more details on renting an oTENTik, visit here. 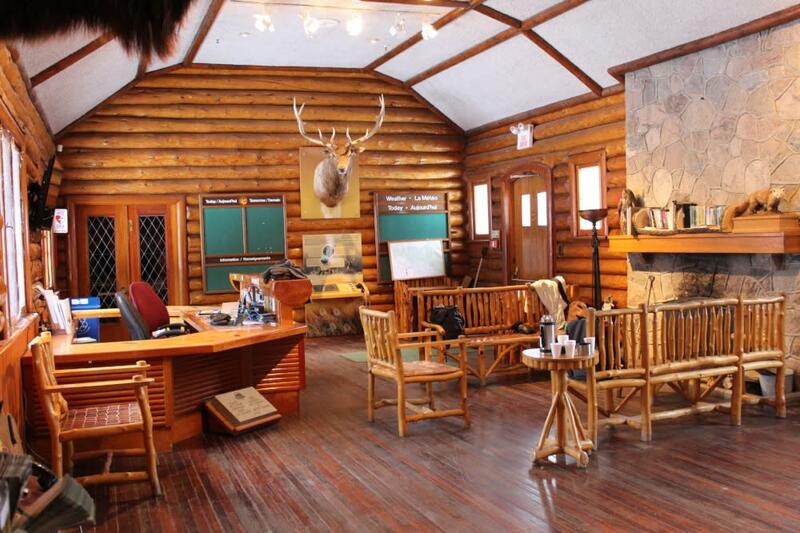 This cozy spot will put you in the mind of a giant log cabin and is the perfect place to learn all about the history, Indigenous traditions and wildlife of the area and its surroundings. Passionate park interpreters bring the culture and heritage of the region to life with stories and knowledge. 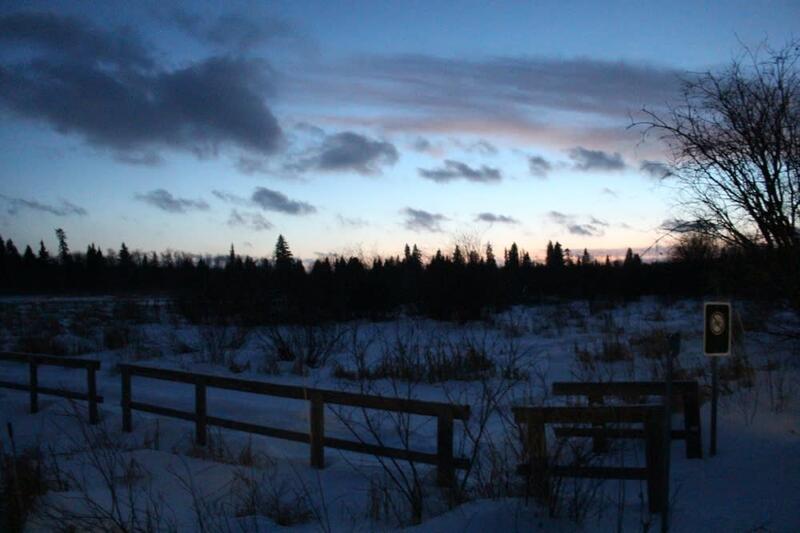 Browse the displays, warm your toes by the fire and even partake in an offering of Labrador tea. Note: The visitor centre isn&apos;t always open in winter but we were treated to a sneak peek during our visit. In the winter visitors can always stop by the administration building on weekdays from 8 a.m. to 4 p.m., or the Parks Canada South Gate or Friends of Riding Mountain National Park on weekends for info. With the early nightfall of winter, you don&apos;t have to wait long to catch a beautiful sunset on the horizon and what better way to do it than in the middle of a forest with skis strapped to your feet? Check out the vast variety of trails you can embark on that cover a variety of skill levels and distances. Head out while it&apos;s still light and watch as the sun does its spectacular thing across the prairie sky. If you don&apos;t have your own, skis and gear can be rented at Elkhorn Resort located inside the park. 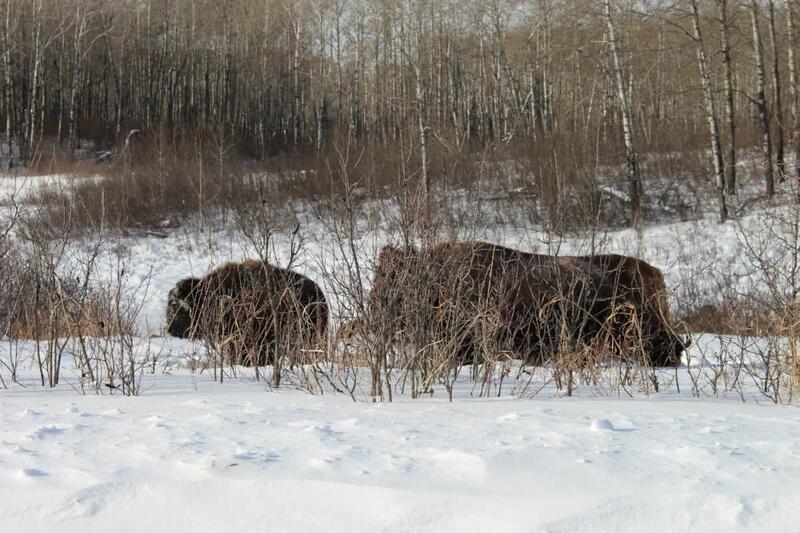 Okay, not literally bison hunting, but go and check them out inside the Audy Lake Bison Enclosure. Here, about 40 bison roam the fescue grasslands. The enclosure is part of an effort to restore and protect the ecosystem by returning bison to its natural prairie habitat after being absent for some time. Visitors can enter the enclosure by car and stop at the look-out to stretch their legs and take in the view of bison back dropped by the sweeping frozen landscape. While in the enclosure, you might also get the chance to see moose, fox, lynx or elk. On our visit, we saw fresh wolf tracks in the snow... alas no wolf though--this time anyway. What better way to really go in and explore the woods than with a good snowshoe? Turn any of your favourite hiking trails into a snowshoe trail, or take advantage of the below zero temps and just tromp your way right across a myriad of frozen lakes that make up the park. And that little guy in the tree is a boreal owl--so you can see wildlife too. 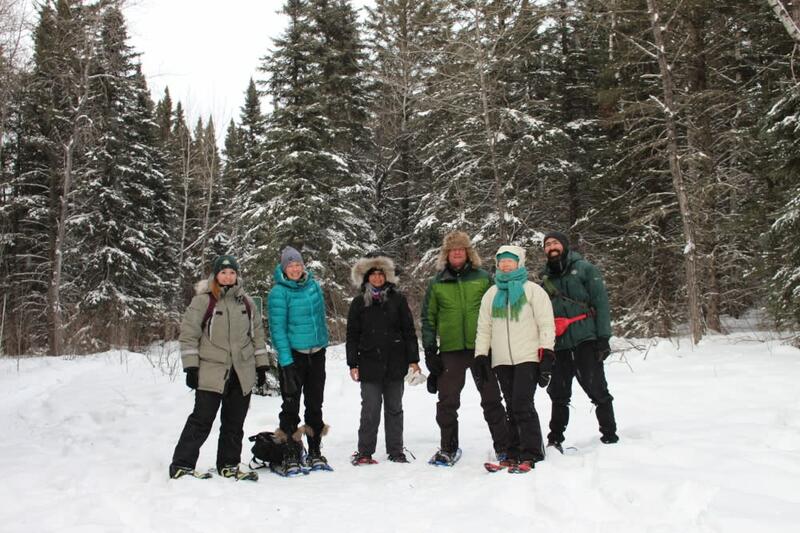 Super spiffy, lightweight snowshoes can be rented at the Friends of Riding Mountain National Park office located in the Wasagaming townsite. 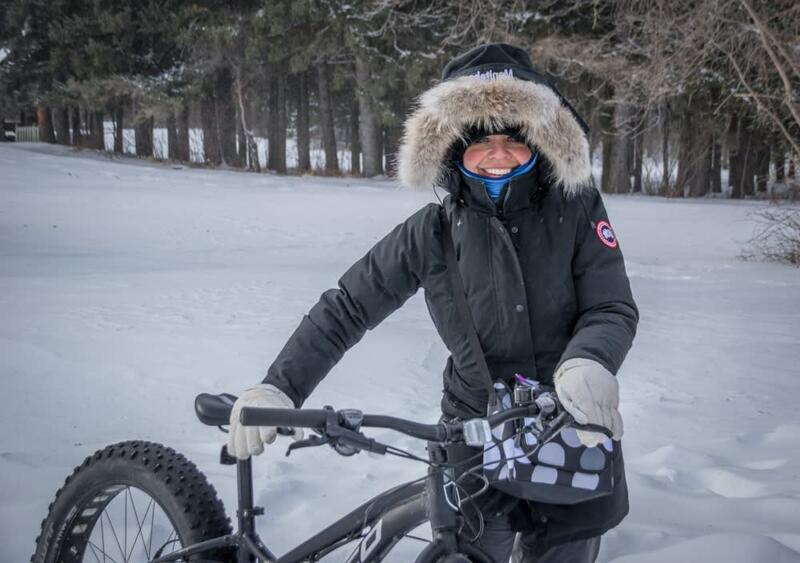 If you want to explore on two wheels, then head over to the Friends of Riding Mountain and rent yourself a fat tire bike. 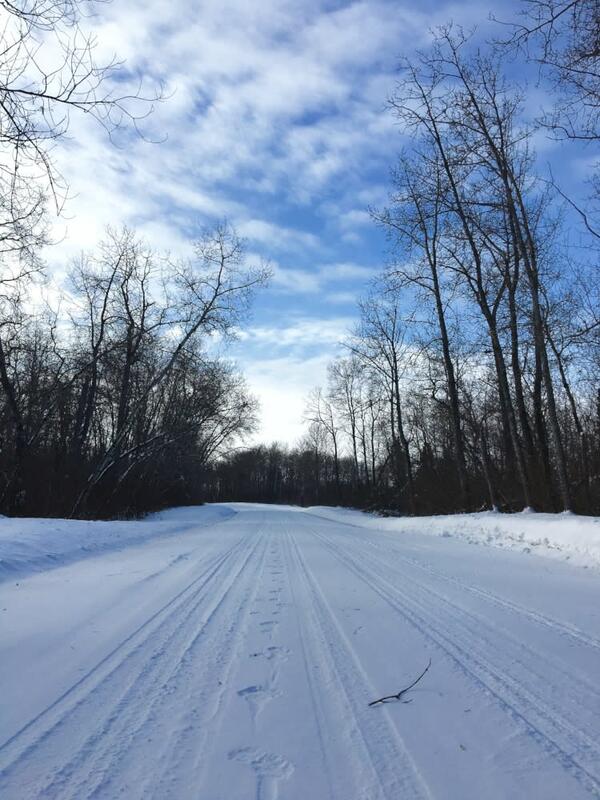 There are several trails in and around the Wasagaming townsite and nearby campground that will tour you around through the snowy lanes and trees. This is a workout and a half--my thighs were burning by the end, but this is a nice lead in to my next point. Once you&apos;ve glamped it up in your oTENTik, another option to rest your weary head is inside Elkhorn Manor. 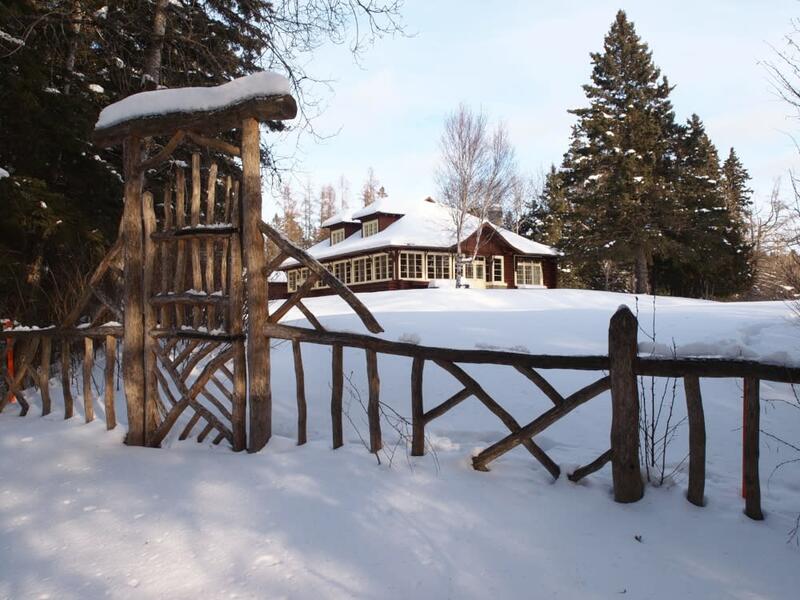 Owned by Parks Canada, this former superintendent&apos;s house is operated by Elkhorn Resort and can sleep up to 12 people. Nestled on the edge of Clear Lake, the picturesque setting is an ideal spot to get intimate with the park. On the night we arrived, dinner was being catered by the chef at Sporty&apos;s in the nearby town of Onanole. 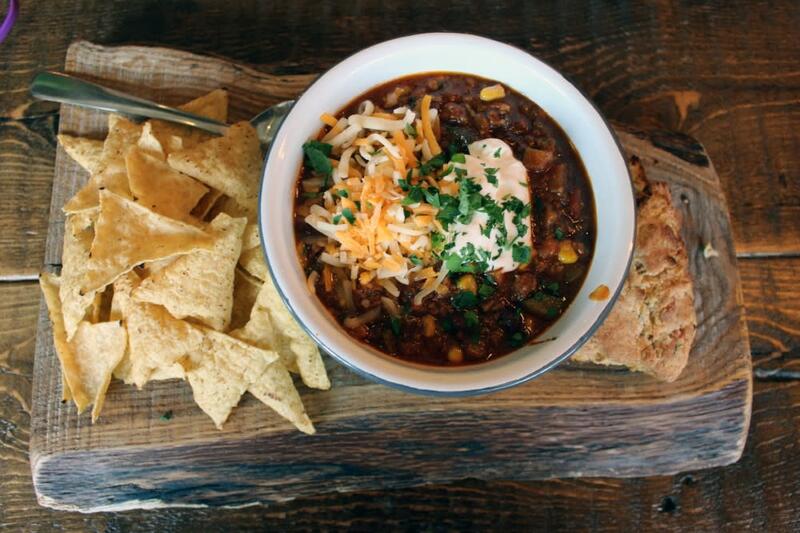 On the menu was fish chowder, bread made with local grains slathered with organic Irish butter, fresh greens with locally made cheese, Manitoba pickerel, beef from the chef&apos;s own store, and a glorious fruit tarte to finish the evening.